Prepare to experience an excellent multi-mystery story set deep in the heart of Cromwell’s Puritan England in Destroying Angel, the new book from historical thriller sensation S. G. MacLean. It is 1655, a time of great change for England. Oliver Crowell’s forces have cleared the Royalist armies from England, and exiled the King and his court to the continent. The country is now in the grip of Puritan morals and the rule of Cromwell’s major-generals. In York, Captain Damian Seeker of Cromwell’s army is responsible for hunting down Royalist elements hiding within the country and quelling dissent against the new regime. His latest mission requires him to journey to the small village of Faithly on the Yorkshire moors to deliver the government’s new laws and ordinances and inspect the area for traitors. In addition, a fugitive member of the King’s exiled court may have returned to his family estates near Faithly, and Seeker is charged with searching the village and the surrounding countryside. But upon arriving in Faithly, Seeker bears witness to the tragic death of the young ward of the town’s commissioner. Her death appears to be the result of poisoned mushrooms, slipped to her at a formal dinner attended by Seeker and several of the village’s notable citizens. Was she the intended target or just a causality of a far larger game? As Seeker begins to investigate, he soon finds that Faithly is a seething hotbed of resentment and fear. Plots, secrets, lies and petty jealousies lie just beneath the surface, and many of the village’s inhabitants seek to use the dramatic changes in England’s rule for their own gain. As Seeker attempts to navigate the chaos he finds in Faithly, a chance encounter from his past will change everything for the captain. MacLean has once again delivered a fantastic and intensely thrilling piece of historical fiction. Destroying Angel is the third book in the Captain Seeker series, and the seventh overall book from MacLean, who has also published four historical thrillers in his Alexander Seaton series. In his latest book, Maclean has created several compelling mysteries that are expertly combined with the book’s fascinating historical background. The main storyline of Destroying Angel is a fantastic investigation into the secrets and mysteries surrounding a small village. When the book’s protagonist arrives at Faithly, the central location of the plot, he encounters a village that is brimming with hidden secrets and lies. While the core mysteries revolve around the poisoned girl and the location of the fugitive Royalist lord, the protagonist is forced to uncover all of the village’s many secrets in order to find the solutions to the murder and treachery that he encounters. The reader is presented with a massive stream of information about many of the characters in the book, all of which is cleverly woven into a series of intriguing solutions. For example, the eventual motives for the poisoning of the commissioner’s ward are particularly captivating, and fairly tragic. MacLean ensures that every single secret and hidden past is tied into the overall story and has created an outstanding narrative that highlights his substantial skill at historical mysteries. In addition to the huge range of mysteries that MacLean has inserted into his book, there is also a significant storyline that will prove to be extremely interesting to fans of the previous books in the Captain Seeker series. While performing his other investigations, the protagonist is thrust into an emotive storyline when he suddenly encounters ghosts from his past. This new storyline is particularly intriguing as it goes deep into the protagonist’s past, uncovering old wounds and substantially increasing his emotional stake in the story. Previous readers of this series will find it intriguing to see the usually implacable character of Seeker so rattled and unbalanced in this story. The sudden and violent introduction into this storyline is particularly memorable and represents a noticeable change in the book’s tone, and is an excellent inclusion in an already fantastic read. One of the most impressive and enjoyable elements of this book is the author’s spectacular use of an absorbing historical setting. During this period, England is experiencing significant change, as the King and his followers have all been expelled from the country and a new group of people have risen in power. 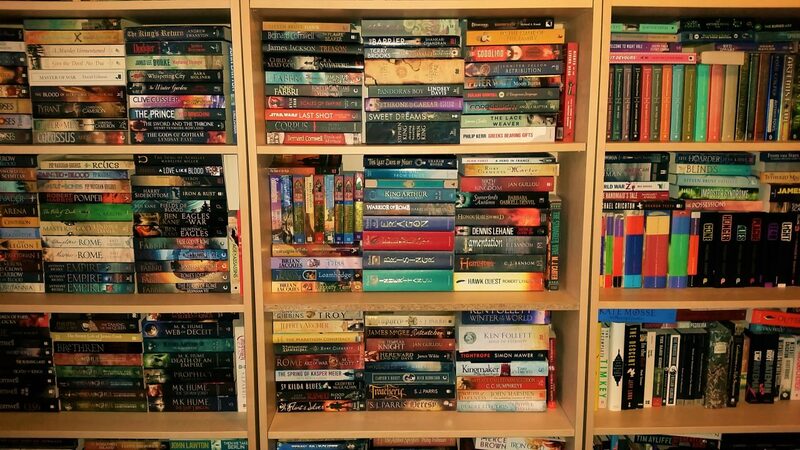 Despite it being a significant part of England’s history, not too many historical fiction authors have chosen to set their books during this period. MacLean does an amazing job of exploring the various aspects of this new regime and tying them into the overall plot of Destroying Angel. This includes the new laws that have been put in place, the changes to local governance and the effect of military rule on the people. However, one of the most fascinating aspects of the entire plot is MacLean’s examination of the Puritan moralities that were imposed on the people of England. Destroying Angel focuses on how this affected day to day life, what role the new church had in England and how they treated priests who didn’t meet Puritan expectations. One of the best parts of the book is the blatantly biased trial of the priest of Faithly village, as members of the populace and a special state examiner, known as ‘the Trier’, attempt to remove him from his parish. The author has chosen a great location to showcase these examples of life under Cromwell, as the small village setting allows the reader to see how it affected normal, everyday people. It also allows the reader to get an idea about some of the discontent and petty power plays that could have possibly resulted from the changes to the system. Overall, MacLean has set his series with a deeply interesting time period that serves as the perfect background for a murder and conflict ridden story. Destroying Angel is a fantastic and incredibly enjoyable novel that serves as an outstanding and powerful new addition to MacLean’s Captain Seeker series, combining several captivating mysteries with an outstanding and rarely utilised historical setting. Readers will find so much to love about this book, which is historical murder mystery at its very best.